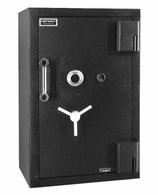 Underwriter's rated safes protect against powerful tools such as drills, chisels, sledgehammers, wedges, power saws, carbide disc cutters and other miscellaneous tool attacks. 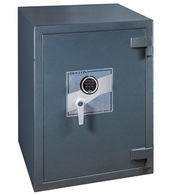 Massive 3-1/2 inch thick bodies and 6-1/2 inch thick doors are constructed of steel plate, a high strength blend of PSI cement and a super alloy manganese plate. 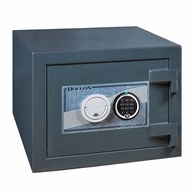 TL-30x6 six-sided protection that potentially insures up to $1/2 million (and often more when used in a commercial application, even at home). 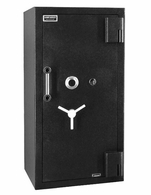 TL-30 door is tool resistant at least 30 minutes and potentially insures up to $1/4 million. 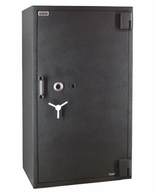 TL-15 door is tool resistant at least 15 minutes and potentially insures up to $125,000. Fire protection for 2 hours at 1850 degrees F is an added bonus in the TL-rated high-level security safes. 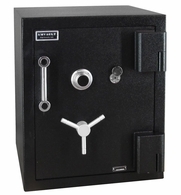 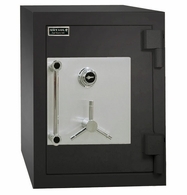 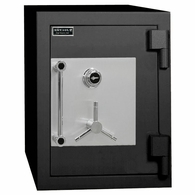 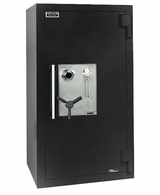 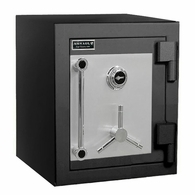 Please Note: These safes offer high security protection for business such as jewelry stores and coin shops. 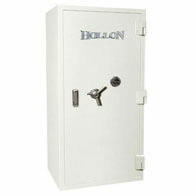 Yet if you have an expensive collection, it may warrant getting a safe of this caliber. 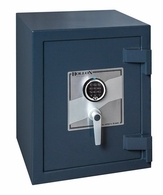 If you are looking for a home safe to protect valuables under $20,000 please follow the link to our home safes.